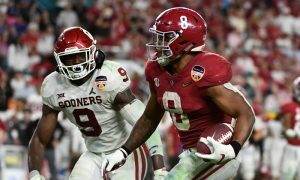 Two different reactions are formed when one sees Raekwon Davis’ size on rolltide.com versus seeing the young man in person. The frame of 6-foot-7 and 309 pounds would intimidate anyone; however, the native Mississippian carries a smile and a soft-spoken voice during interviews. 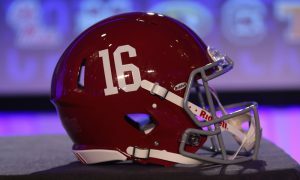 He did not have the season he envisioned as a junior, but this spring has witnessed the former four-star understand the primary goal of Alabama football. 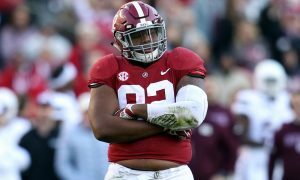 Much like A’Shawn Robinson, Jarran Reed, Jonathan Allen and Da’Ron Payne before him, the idea behind what makes the Crimson Tide special is having older players take time to craft young guys into be monsters on the field. 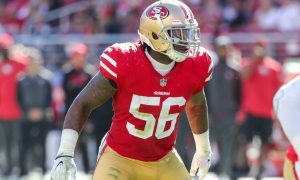 As a sophomore, the help that Davis received led to him totaling 10 tackles for loss and a team-high 8.5 sacks in 2017. He assisted Alabama to a College Football Playoff National Championship that year, and now it is on him to create the next wave of linemen. 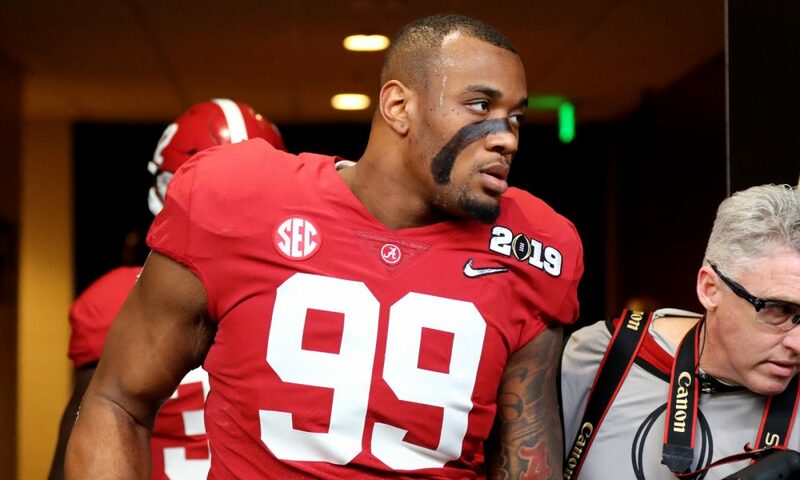 With the duo of Quinnen Williams and Isaiah Buggs departed to the NFL Draft, the returning senior said this semester has been “fantastic” for him. 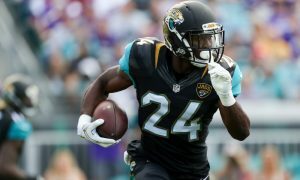 For someone that was once focused on making sure his production was good, it is a major positive sign with Davis putting in effort with teammates. He is seeing the fast growth of true freshman D.J. Dale, while watching sophomore Eyabi Anoma rise up at outside linebacker. 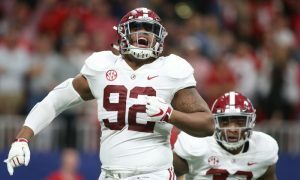 He compared Dale to former Tide standout, Da’Ron Payne – technique wise – but Davis has been very complimentary of Anoma’s maturation into becoming a leader. 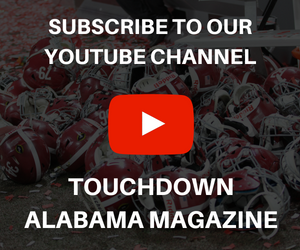 When he is not helping younger players learn the system or encouraging LaBryan Ray – the defensive end opposite him – Davis is getting stern coaching from assistant Brian Baker. Baker, who turned Mississippi State into a powerhouse on the defensive line in three years and has 30+ years of coaching experience, is laying the hammer down on Davis and company. Since the loss to Clemson back in January, a lot of excitement has been fused into the program from coaches to this year’s signing class arriving on campus. 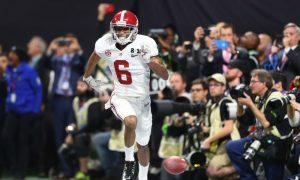 Alabama is looking to redeem itself from the embarrassment it took in California and a determined Davis is a valuable component.